And by “help”, let’s be honest, they need a few bucks. Basically their mobile pinball museum, the Lil’ Ju Ju, got damaged when a wheel came off. They take this thing everywhere to share pinball: art shows, schools, county fairs. Sometimes they rent it out to support the Museum. Many of you saw it at Pin a Go Go back in May and some of you may have seen it at Maker Faire as well. Donate a few dollars here. or you can use one of the Facebook or Twitter icons at the bottom of this post. Even if you donate only $5 or even a buck that’s cool. But if you donate $30 or more, you also get one free entry to the museum in Alameda, either for yourself or a friend. 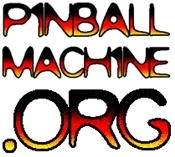 90 games of pinball from all eras all on free play. This makes a great Christmas Gift for a friend. Just print out your donation email receipt (or forward it to a friend so they can) and bring it in. Thanks for your support!